The MD 324 with JCU is the perfect fixed mount thermal imaging camera for smaller cruising, fishing and sailing vessels. 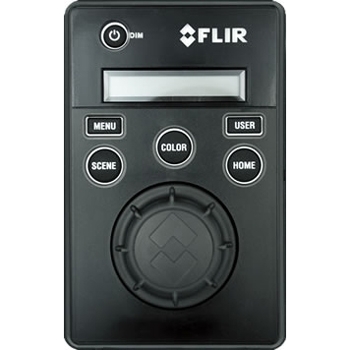 Affordable and powerful the FLIR MD324 displays images in the dark clearer than ever before! 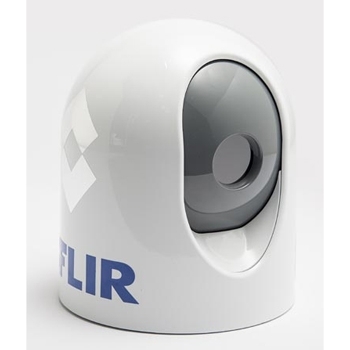 Flir offers an affordable fixed mount thermal night vision system in the MD-324. It is compact and easy to mount and integrate with your existing electronics. If you have a compatible Garmin, Raymarine, Furuno, or Simrad MFD you can control the camera color palette and settings right from the MFD. The MD-324 makes it easier to navigate in the dark with a manual panning adjustment of up to 30’ + or minus and tilt of +34’ and -27’. This allows for wider side views and also up and down control of your front view. The Included JCU will allow you to control the palette color and other camera settings. If you have a compatible Raymarine or Furuno MFD you can control the camera right from the MFD. The MD-324 is 7” in height and 6” in diameter with a weight of only 3 lbs, this small footprint allows the camera to easily mount on any T-top, cabin roof, radar arch or mast. The MD-324 features a 320 x 240 pixel thermal imager with a wide angle 19mm lens. The MD-324 features a 2X digital zoom allowing you to magnify distant targets for enhanced viewing and identification. Each FLIR MD 324 JCU comes with: MD 324 Camera, Joy Stick Control Unit with Cover, O-ring for base, 7.7 meter (25-foot) double-shielded low smoke zero halogen Ethernet cable, 7.7 meter (25-foot) coaxial cable for video output, FLIR PoE injector, RJ45 weatherproof coupler with various other video adapters, Female-to-female F-type video connectors, Mounting hardware kit that includes six M6 x 60 stainless steel-threaded studs with washers, nylock nuts, and acorn nuts, for attaching the MD-Series camera body, Zip ties for use during installation Camera Unit, MD-Series documentation package and a Two Year Warranty. The perfect fixed mount thermal imaging camera for smaller cruising, fishing and sailing vessels. Affordable and powerful the FLIR MD324 displays images in the dark clearer than ever before!